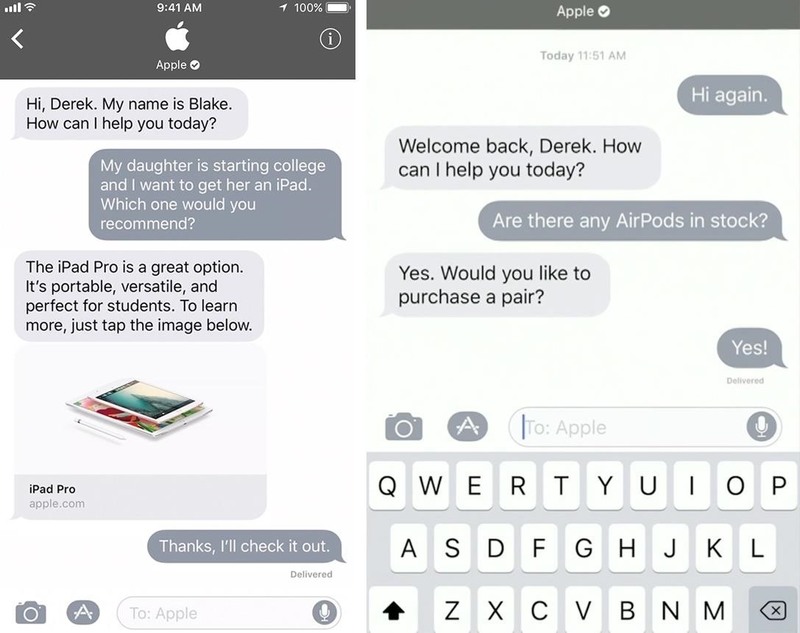 Apple gave the Messages app a massive makeover with iOS 10, with a slew of options that made iMessages on the iPhone a lot more fun. While not quite as comprehensive, iOS 11 builds upon that success and makes the app more user-friendly and all-inclusive. iOS 11 brings plenty of great features to the table that will push Messages even closer to becoming the Swiss Army knife of messaging apps and gives you significantly more incentives to depend on it for all your daily digital needs. So make sure to update to iOS 11, then check out our favorite Messages enhancements below to see what you can do. Though no new custom bubble effects were introduced for iMessage on iOS 11, two new additions for its screen effects have become available. 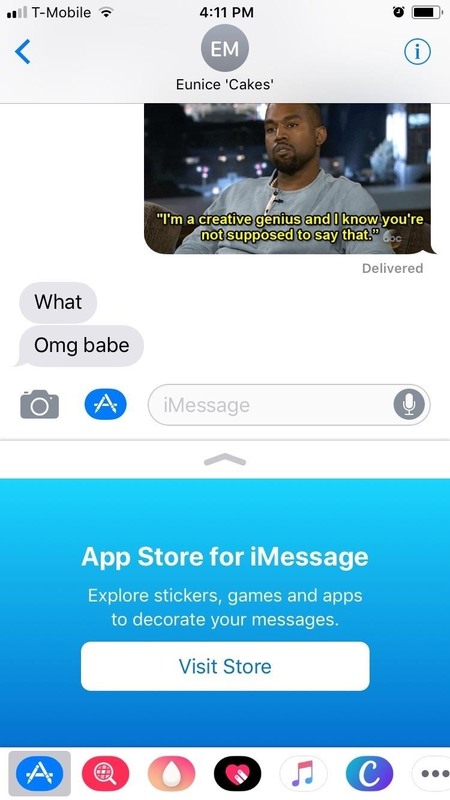 For those not familiar with iMessage screen effects, they're fun, animated backgrounds that add a touch of flair to your texts. 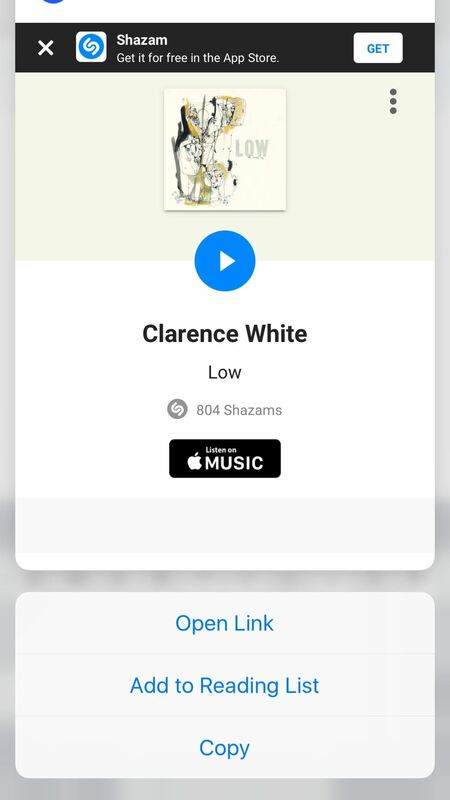 First up, there's the new "Echo" option, which bombards the receiver with multiple message bubbles containing your message. 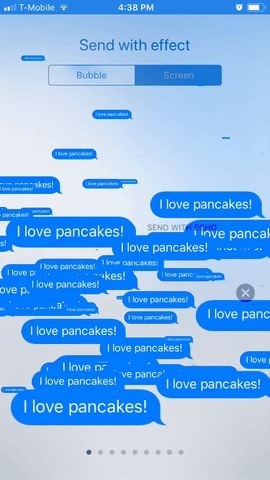 It's the perfect screen effect option to use for those times where you have to send a text over to an absentminded friend that you've always had to repeat yourself over and over to. If you want to send an extremely important text that can't be ignored, then "Spotlight" is right up your alley. 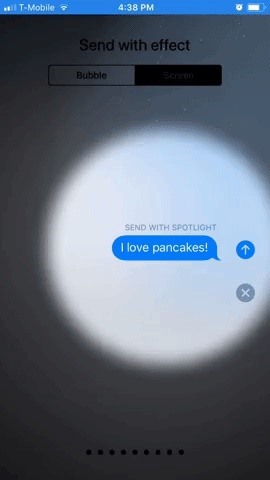 This second screen effect addition highlights your message by putting it under a spotlight, and it's a great way to communicate a sense of urgency to your iMessage that's sure to grab the reader's attention. When iOS 10 came out, it gave the Messages app a built-in App Store for iMessages, giving us the unprecedented ability to access content to greatly enhance our messaging experience. But it was kind of clunky to visit the App Store or view already downloaded iMessage apps. In iOS 11, the redesigned app drawer helps make things more fluid and gives it a more integrated look and feel. When you hit the "A" icon now, there's a huge prompt to check out the App Store for iMessage. 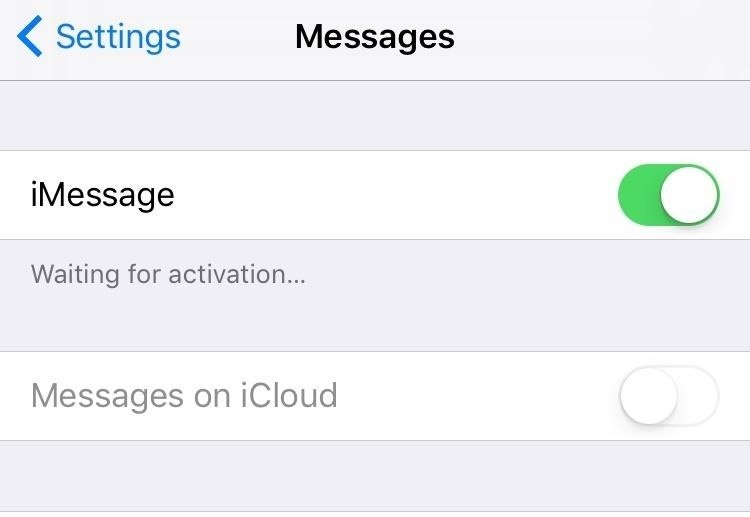 Previously, that area would show your recent iMessage apps. Recent apps have now moved to the bottom toolbar, so it's easier to see everything you have in a simple swipe. And the App Store is front and center here, too. When you slide over the app drawer toolbar, it will expand so you can read the name of the apps, in case you can't remember what the icon meant. 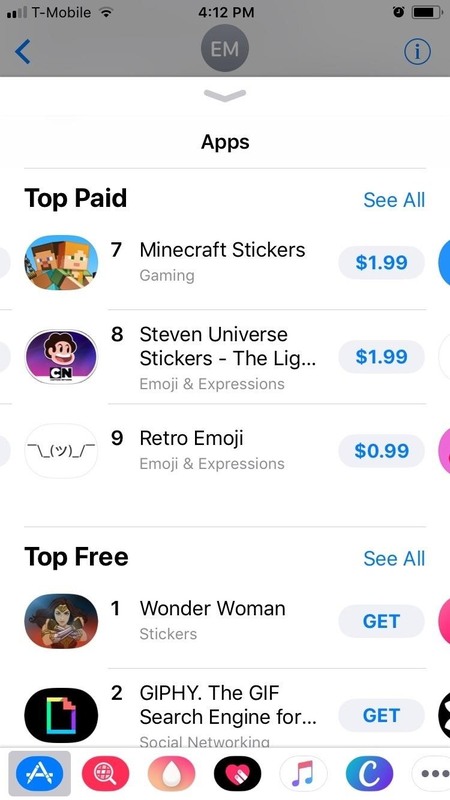 The new system is much more intuitive, and closing out of the App Store for iMessage is even easier, where you just swipe down instead of tapping on buttons. iOS 11 is about to make online transactions a whole lot more convenient by integrating Apple Pay with Messages. 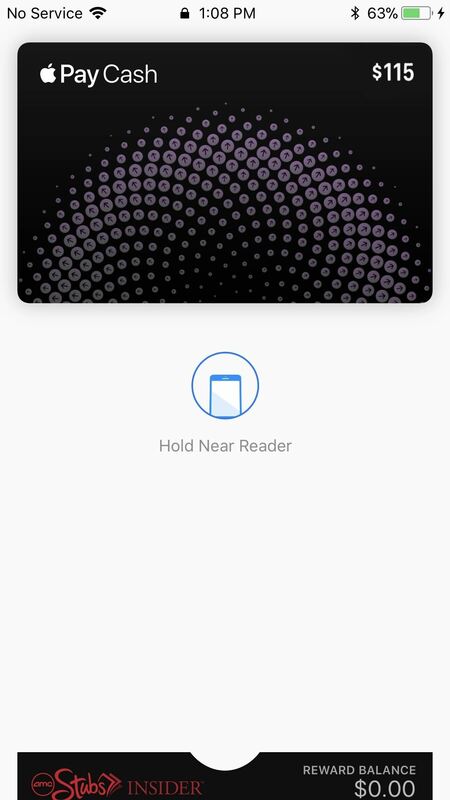 This new union will let you send and receive "Apple Pay Cash" to and from your contacts using a built-in iMessage app that works much like Square Cash and Venmo. The funds received are deposited onto a Cash card in your Wallet app, which can then be used anywhere Apple Pay is accepted. It can even be transferred over to a bank account. While this feature is not finalized yet, Apple is currently working on it in the iOS 11.2 betas, so it won't be long now. With this new feature, you'll be able to notify someone and send money, which is all done within Messages. Compared to the present method of giving a friend a heads up with Messages, then sending him funds using a dedicated app like Venmo, the benefits of an Apple Pay supported Messages is obvious. The last day of WWDC 2017 back in June marked Apple's introduction of a new platform aimed at bringing individuals and businesses closer together in iOS 11. As an extension of iMessage, Business Chat will give businesses the ability to interact with customers in an unprecedented degree of intimacy. Business Chat aims to provide a more seamless means of communication between businesses and individual customers, and it's capable of handling any type of service, from answering customer questions to making transactions and shipment tracking. Eventually, you'll even be able to open up a Business Chat from a link in Maps, Siri, Safari, and Spotlight search. Like Apple Pay Cash, this feature is not live yet, and will probably roll out at the same time since you'll also be able to make payments in Business Chat using Apple Pay Cash. With iOS 11, full Messages synchronization will soon be implemented to work across all Apple devices you sign into. Deleting a sketchy message on your iPhone, for example, will also automatically delete it from Messages on your iPad or Mac, unlike before. 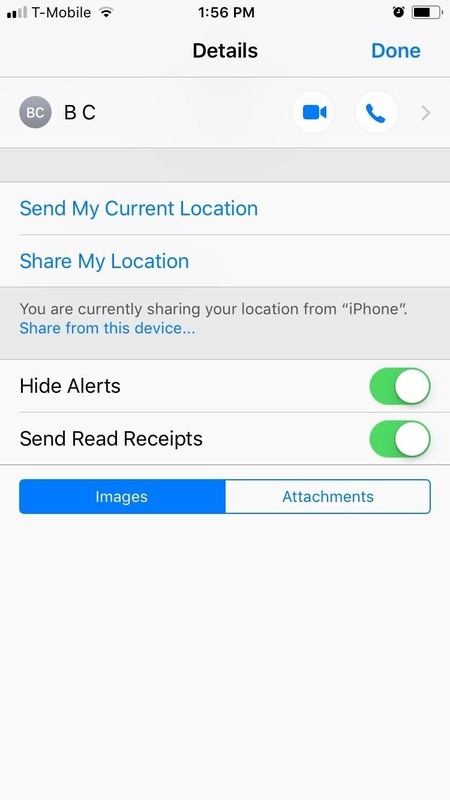 This feature will have the added bonus of consuming less of your iPhone's storage space, as it will archive all your data in the cloud and only keep recent Messages on your devices. With significantly less memory usage, a more streamlined Messages will result in faster backup times and provide better overall performance. This feature is not live yet but will be released in a future iOS 11 update. Since macOS High Sierra was just released to the public as a free upgrade on Macs, it won't be long now, since users need both High Sierra and iOS 11 in order to use this feature across iOS devices and Macs. Taking URL sharing a step further, iOS 11 lets those of us with 3D Touch-equipped iPhones to share URLs by in messages, and it's super easy. 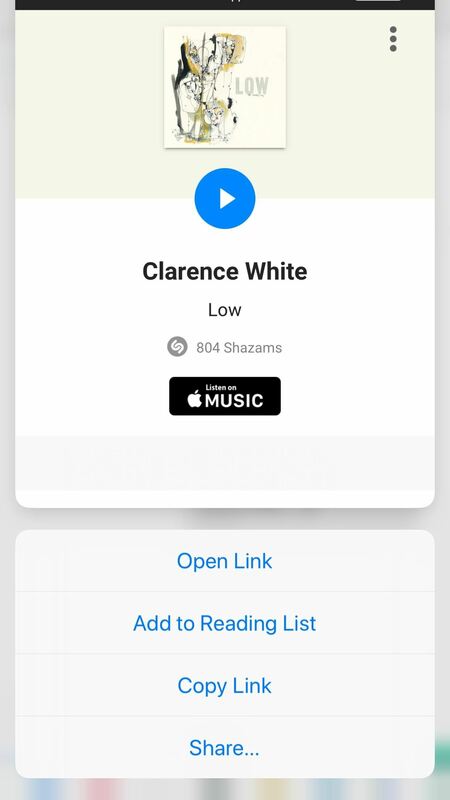 Just 3D Touch on the link in the message, then slide your finger up the screen to show the menu, just like before, except this time you'll get an option to "Share" which brings up the share sheet. No share option in iOS 10 (left) and iOS 11's new share option (right). iOS 11 renamed the "Do Not Disturb" option for conversation threads to "Hide Alerts," and the toggle is still accessible by hitting the information icon in the top right. But that's too many steps for some of us, so Apple added a shortcut to the swipe menu on the Messages homepage which quickly disables notifications for both individual and group chats whenever they get out of control. 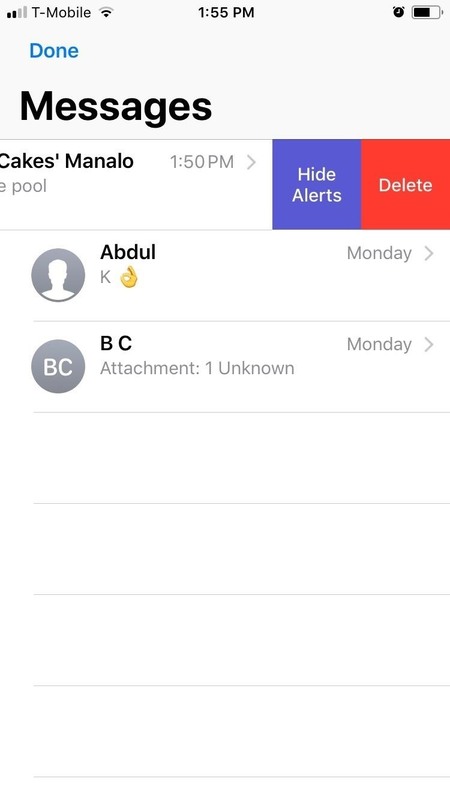 Just swipe left on any message thread to access the new "Hide Alert" shortcut. The latter method is especially handy, as it can disable notifications from outside the conversation itself and prevents the "Read" receipt from being triggered, giving us plausible deniability with regards to reading any messages. If you'd like to share your Apple Music family subscription or your 200 GB iCloud account with family members, it's easier to do in iOS 11. 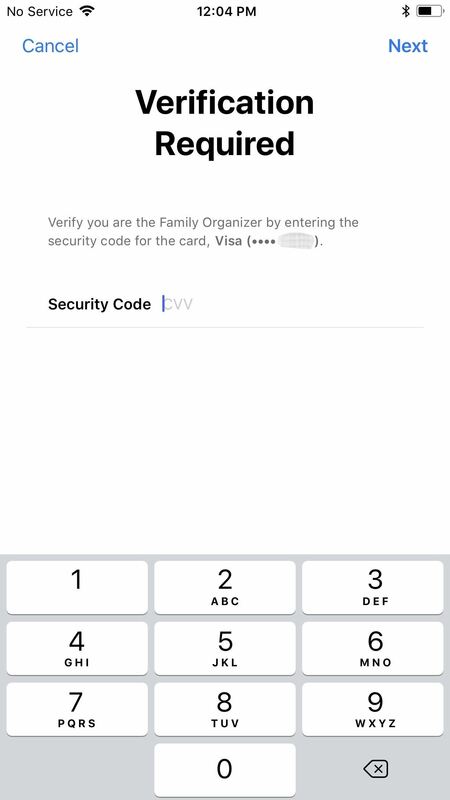 Just tap on your Apple ID in Settings, then select "Family Sharing." In this menu, select which subscriptions and apps you'd like to share, then tap on "Add Family Member." 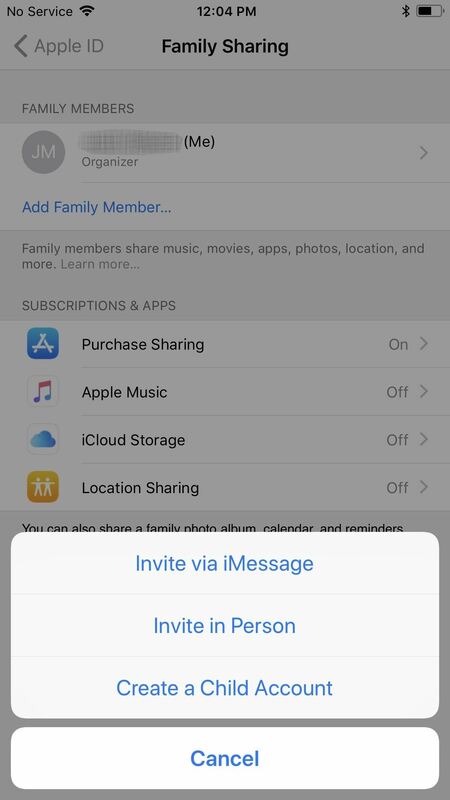 You'll now see a prompt that will let you "Invite via iMessage," which is a much easier option than before, especially for an older parent or grandparent that doesn't check emails or system notifications at all. 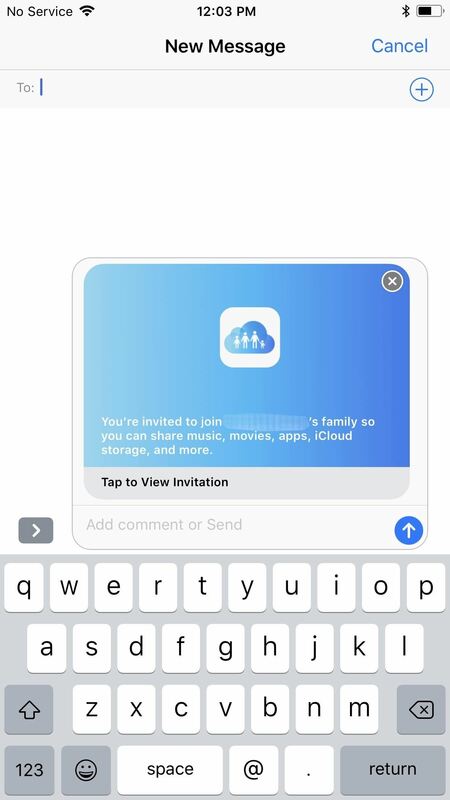 In order to actually send the invite, you will have to verify the security code on the credit card on file, then you finish sending the invite via iMessage. What other features do you wish for Apple to add or improve upon in its Messages platform? As always, feel free to share your thoughts by posting a comment in the section below. Would like to add a photo for the message background. I love the iPhone but I miss that feature (among others) from an Android. Also different color and styles of chat bubbles. Just something that's a little different and pretty without having to use a different app. I second Christina's comment. 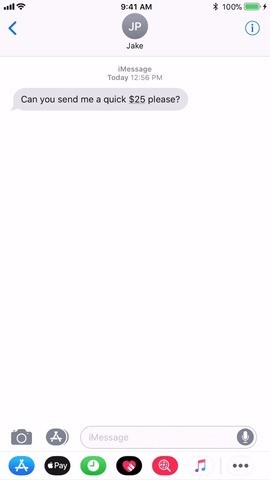 I can send someone a beating heart, yay for them, but I can't customize my OWN experience in iMessage. I want to change the wallpaper I see in the native text app and choose what color and size the text bubble is as well as the font that is in it. So many people complain and they keep giving us less than exciting text functions I rarely ever do!